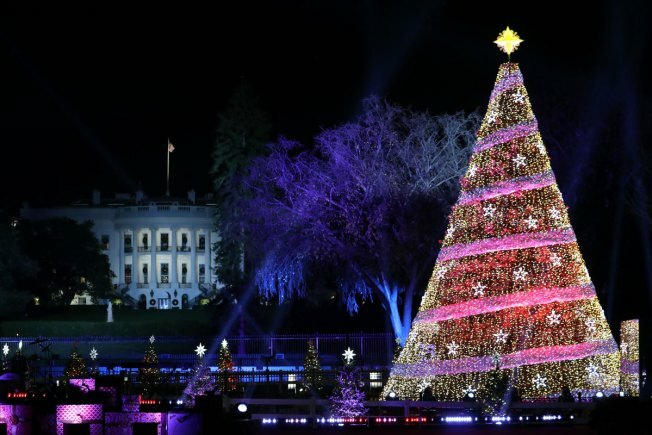 Here's your chance to to attend the National Christmas Tree Lighting outside the White House -- the ticket lottery for the 93rd annual event opened at 10 a.m. Friday. The tree lighting -- typically a star-studded event -- will be held Dec. 3 at 5 p.m. on the White House Ellipse, the National Park Service and the National Park Foundation said in a press release. The ticket lottery will be open through 10 a.m. Monday. You can enter at any point until then; the winners will be randomly drawn once the lottery closes. To enter, visit www.thenationaltree.org and click on "TICKET LOTTERY," or call 877-444-6777 (TDD 877-833-6777). Performers for the event haven't been announced yet, but last year's entertainers included Aretha Franklin, Mariah Carey, Joshua Bell and Janelle Monae. Last year, the Park Service gave out tickets for 3,000 seats and 14,000 standing-room spots through the lottery.